Code School is all about learning by doing. Our educational courses combine video, coding in the browser, and gamification principles to make learning more fun and therefore more effective. 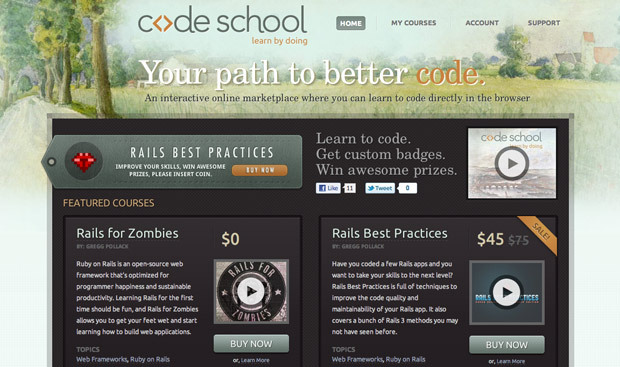 A typical course contains 5 levels, each with a 10-15 minute video, followed by series of code challenges a student must solve to make it to the next level. Once finished each course provides rewards for completion."